It’s what all you brunchers have been waiting for… on Saturday 24 June to celebrate the Streatham Food Festival we will be hosting brunch with free-flowing Prosecco, Bloody Marys, Bucks Fizz or Beer! There will be a set two course menu plus the free-flowing drink for £30 per person. A non-alcoholic version will also be available for £24 per person. 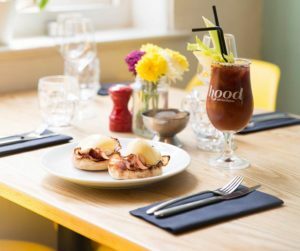 We will be serving our bottomless brunch from 10am – 3pm and it must be booked in advance. The small print..all the table must choose the bottomless brunch, tables of 6 or more will require a £5 per person deposit, each sitting is for 1.5 hours. Children will be most welcome too (as usual!) and can just choose off the normal brunch menu. Please request a space for a pram or highchair when booking if you need one as we only have a certain number of tables where we can have prams tableside.